GlobeCore CMM units are designed as multipurpose Transformer Oil Conditioning units for field or factory use. The units incorporate high capacity multi-stage electric oil heaters, large capacity Vacuum Pumps with external connections for Vacuum filling work, three (3) stage particulate filtration systems, and connections for a large variety of service applications. The Unit’s measuring devices include vacuum, pressure, and temperature meters. The equipment can also be optionally supplied with a “water-in-oil” measuring device. Installation of a water-in-oil measuring device allows in-line monitoring of water content. Flow rates are variable from 0 to >10,000 liters per hour (L/H) and heating from 24KW to 210 KW in four stages. GlobeCore systems are designed for easy operation and maintenance. The principal functions of transformer insulating oils are to serve as a dielectric medium and as a transformer coolant or heat transfer medium. In order to perform these functions, transformer oil must have the necessary qualities at the time of initial impregnation and filling at the factory and later be able to maintain the same quality in normal operation. High Vacuum Treatment improves insulating fluids that includes transformer oils and silicone fluids. GlobeCore transformer oil purification equipment was developed as a result of 30 years of experience in vacuum treatment of transformer oils. Every company dealing with oil-insulated high voltage equipment (transformers, high-voltage switches, turbines, etc. ), shares the problem of having to change and dispose of contaminated oil and fluids. The costs of changing and disposing of insulating oils are frequently very high and need a significant investment in time, labor, and money. At GlobeCore, our equipment offers a practical, proven and economical method to purify oil so that it can be used again and again for your high voltage equipment. Thermally accelerated Vacuum Dehydration and Degassing of Transformer Oil has gained wide acceptance as one of the most economical methods for the removal of dissolved water and gases. On-Site Transformer Oil Purification is the most cost effective transformer maintenance service in existence today. The GlobeCore CMM units not only purify the oil within the transformer, but actively regenerate the Transformer Insulating System by removing impurities that had become built up within the transformer over time. Thermo-vacuum purification and degassing of transformer insulating oil, as performed by the GlobeCore Process, will result in the improvement of the condition of the entire insulating medium of your electric power transformers. We at GlobeCore are committed to provide our customers with high quality products that satisfy technical and economic objectives. We offer our vast experience in manufacturing, servicing and operation of transformer oil purification systems to your company. Machines by GlobeCore come with a block of approved original equipment spare parts. These spare parts meet all specifications required of the engineering process. Over the years, optimal and high quality components have been carefully selected for our equipment. GlobeCore guarantees the performance of our machines and the results of the oil treatment processes. We have placed our equipment in more than 70 countries around the world and a reference list available upon request. A gear type pump draws in the oil for processing via a valve and a strainer. Processed oil is then pumped through the cartridge filter, the three-way valve and is then discharged to the processed oil vessel via a connecting line. The above mode is also used for transformer core drying. Transformer oil is circulated through the oil purification equipment. After filtering the oil to remove the particles, the oil is heated up to max. temperature of 800C/1472F. All residual gases are removed and the moisture is evaporated in the vacuum degassing chamber. Residual moisture content can be reduced down to less than 3 parts per million (ppm). Oil purification is a necessary maintenance process for oil-filled transformers and can be employed for removal of moisture from the transformer’s core and solid insulation. Heating of the transformer oil moves the moisture from paper to the oil and allows for its removal from the transformer. The most common mistake made by operators of transformer oil purification equipment is to stop the drying process after reaching oil moisture content of less than 5 ppm. After some time, when normal transformer operation conditions exist, the moisture content of the oil increases. 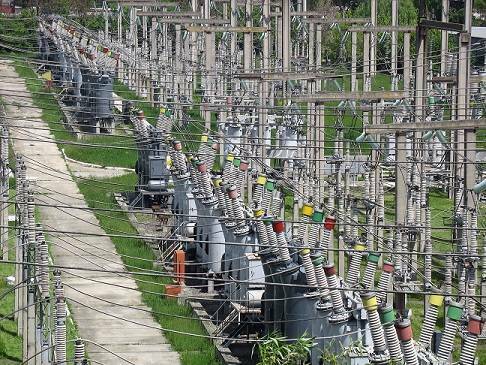 It is essential to dry the transformer oil continuously throughout a long period. Another required process is the immediate evacuation of the transformer after pumping the insulating oil out of the transformer tank. The “Vacuum Effect” on the insulation surfaces greatly improves moisture content removal. The process must be repeated several times before the desired effects will be achieved.